Auto Mart offers you a product that will give you the edge above your competitors and make managing your online stock even quicker and easier. An Auto Mart Mobile Trader Site is in essence an add-on or stand-alone solution for motor vehicle dealers to manage their stock from remote locations, with the element of immediacy. …all with the ease and flexibility of Mobile. The Mobile Trader and Auto Mart websites are always in sync. What gets updated through the Mobile Trader Site is immediately updated on the desktop website and vice versa. Want to know more? Click here for more info on the Auto Mart Mobile Trader Sites. 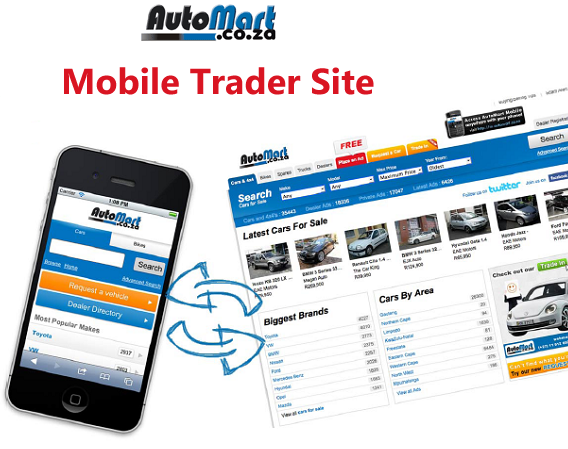 So act NOW and get your own Mobile Trader Site by sending an email to webmaster@automart.co.za or give us a call on 011-912 6500. At your convenience, full training will be provided, so you can get the most out of your Auto Mart Trader Site. Next story The 2013 Dodge Challenger, Louder Than God’s Revolver!